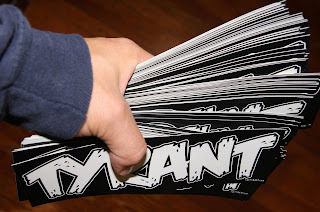 rideTYRANT.com: Stick It to 'Em! The huge (bumper) stickers are in, as well as the head tube sized star ones. Hit me up and get some!